My old college friend confided in me that she wanted to take the plunge. Not marriage, as she's already married with 2 lovely kids. But a different kind of plunge, that is, joining a multi-level or network marketing (MLM) company. 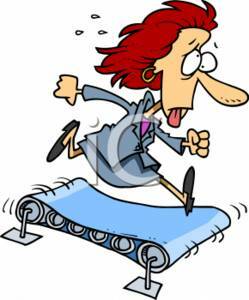 She considers it a big leap, because she used to have a negative impression on MLM companies and their sales persons. She previously had an unfavorable experience with another company, where she purchased an enormous amount of products. However, she didn't get any training and support in distributing the products and sponsoring people to the business. She feels that invitation at 15th Floor Octagon Bldg. was providential. She is looking for alternative ways to earn income, because she wanted to quit her current job. She leaves home before 7am to work and returns home by 7pm. She only has 1 hour with the kids and then, it's their bedtime. As a mom, she feels so sad, that she cannot spend more time with her 3 year-old and 6 year-old. She has the skills to teach lessons, to nurture them emotionally, but because of the usual need to earn a living and provide a comfortable life, she has to work. Ironic that other people benefit from her skills and talents, not her kids. She has to hire a tutor for something she can do to her kids, but she just doesn't have the time! Direct-Selling, if she becomes successful on this, will allow her flexibility of working hours, and a potential for higher income. In her current job, whether she gives the extra mile or not, her take-home pay remains the same. But this time, she is smarter. She did not sign-up immediately after the business presentation. "I will not be lured again by sweet talks and promises that it will be easy & quick money-back. I know that it entails hard work and I will probably shell out money, too. That's why I should know what I am getting into." As her friend and favorite confidante, she calls me her "Life Coach." I helped her research about Nu Skin Enterprises, to reinforce her decision that she chose the right company. I'm sharing this in my blog because I know, there are other people in the same boat like my friend. Will you take the plunge, as well?! Nu Skin operates in 52 international markets across the Americas, Asia Pacific, Europe, Africa and the Middle East with more than 825,000 active independent distributors. Nu Skin came to the Philippines in 1998; they're on their 14th year of operations and continues to grow with offices in Ortigas, Makati, Alabang, Iloilo, Cebu, Pampanga and soon, Davao. The company’s global operations generated more than $1.54 billion in revenue during 2010. They are listed in the New York Stock Exchange; and is one of NYSE's Top 100 Companies, which consists of companies with an annual stock price increase of more than 60%. Continues to innovate with new product lines such as ageLOC, which targets aging at the source, our Genes; and only recently, they acquired LIfeGen Technologies, a company focused on Gene Research related to the aging process. Has contributed more than $23 million to improve the lives of children throughout the world. They have a Force For Good Initiative, where distributors and employees can participate to feed malnourished children worldwide. They have donated more than 220 million meals. All their products are scientifically-validated and even if they're only health supplements and personal care products, they are pharmaceutical grade, with 75 scientists at their employment and a slew of world-class scientists. Nu Skin can give the most rewarding compensation structure in the industry. In the Philippines alone, Nu Skin Philippines has developed more than 100 local millionaires. These are Nu Skin's world-class Scientific Advisory Board, which includes Carl Djerassi, the inventor of the Birth Control Pills. rattle on about financial statistics. But to bring it down to the level where her family, her friends and her future business partners would understand: “There are so many MLM companies out there, why would I be happy to join Nu Skin? People. 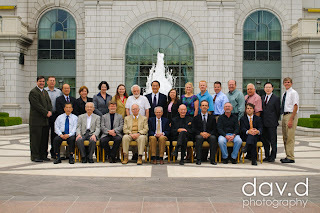 Nu Skin attracts high-caliber people who are successful in their own right. Product. 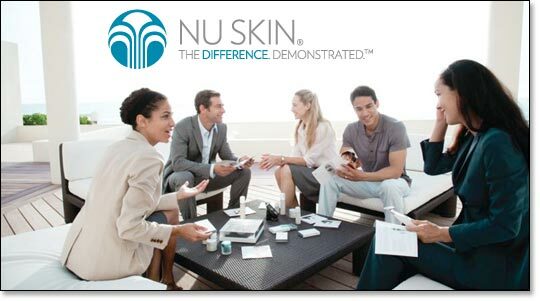 Nu Skin sets the standard in the skin care and wellness industry, continuously innovating to create new products. Culture. Nu Skin remains true to its core value: Making a Difference. Not just in products, but in other people's lives. I am so excited and at the same time, scared for my friend. It's not an easy endeavor she is getting into. I just hope she perseveres against all odds. I remember my favorite saying, "If you want something bad enough, the whole universe will conspire to give it to you." In this case, my friend wants the elusive dream of all.... Time Freedom.